What is Thrombotic Thrombocytopenic Purpura? Before you understand the meaning of the Thrombotic Thrombocytopenic Purpura which is abbreviated medically as TTP. Thrombotic refers to the blood clots that form, thrombocytopenic translates that blood has a reduced quantity of platelets while Purpura refers to purple bruises initiated by bleeding underneath the skin. According to ICD-10 thrombotic thrombocytopenic purpura is blood disorder related to the immune mechanism of a human being. Thrombotic Thrombocytopenic Purpura is a rare type of blood disorder. It happens when clots of blood forms in blood vessels. This limits the free flow of blood rich in oxygen from reaching crucial body organs for example heart, kidney, and brains among others. Platelets help in clotting in case of cut, this means that with a fewer number of platelets as expected clotting problem might arise. Individuals with this condition my bleed underneath their skin, inside their bodies, or when injured at a longer period than normal. Thrombotic Thrombocytopenic Purpura (TTP) is less frequent in men as compared to women. The ratio of male to female is 1:2. It is also more likely to occur to adults, even though it can happen in neonates to people as old as 90 years. It mostly occurs in people in between 35 to 45 years of age. Purple dots on the skin. The dots are known as Petechiae. They are found in groups and looks like a rash. These petechiae are caused by bleeding underneath the skin. Purplish bruises on the skin or even mucous membranes (for example on the mouth). The bruise is known as purpura and is bleeding underneath the skin. Vascular Surgery Postoperative 5 to 9 Days. Cancers are linked with TTP. For example, gastrointestinal tract, prostate cancer, and adenocarcinoma of the breast. Pregnancy can be the source of genetic and also acquired thrombotic thrombocytopenic purpura. Research conducted shows that it takes place in the second trimester and postpartum after delivery. This account for 10 to 25 percent of cases of TTP. 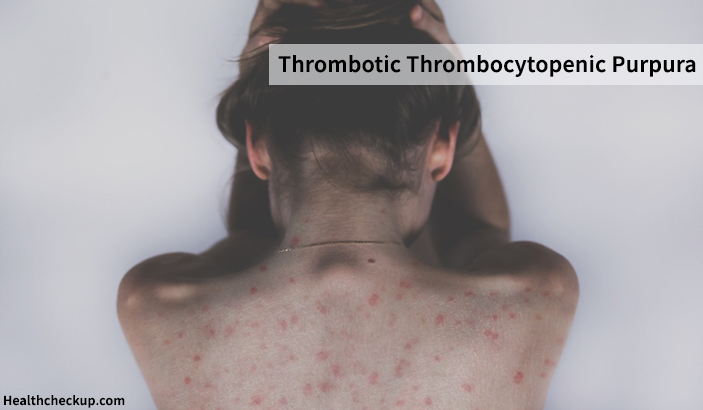 TTP usually occurs before 24 weeks’ gestation and can be differentiated from other thrombotic microangiopathic conditions in that thrombocytopenia happens without Disseminated Intravascular Coagulation (DIC). HIV linked TTP, For instance thrombotic microangiopathic disorder can occur in patients with the HIV-1 infection this may present initial presentation of the TTP. The presentation includes thrombocytopenia, neurologic dysfunction, and renal abnormalities. Medication linked TTP, For example, Cancer chemotherapeutic agents, For instance, bleomycin, cytosine arabinoside, daunomycin and mitomycin C, tamoxifen. Also Quinine an ingredient found in some medications can cause thrombocytopenia. Autoimmune diseases. For example, systemic lupus erythematosus among other diseases can cause TTP. The precise aetiology of TTP is unknown. A hematologist a doctor who is specialized in diagnosing and treating blood disorders will diagnose TTP based on the patient physical examination, medical history and test results to ascertain whether the patient has TTP. The hematologist will enquire from the suspects whether he or she suffers from a certain condition or diseases which are associated with TTP. For example, HIV-1, cancer, pregnancy among others. The doctor will also inquire if the suspects as used before tonic water and some nutritional health products which have quinine. The doctor will also want to know whether the patient had blood and marrow stem cell transplant recently. The doctor will look at the client for symptoms. For example, fast heart rate, fever, bruising, jaundice, speech changes (confusion to fainting) and changes in the amount of urine. Platelet Count – This test involves counting of platelets. People with TTP will show a fewer number of platelets in a blood smear. Urine Tests – This is done to test whether the kidney is working normally. If the urine contains blood and samples of protein this is a sign of TTP. ADAMTS13 Assay – If the blood test shows that, there is an absence of enzymes activity it means that the patient has TTP. Blood Smear – If the test shows that the red blood cells are broken it is a sign of TTP. Blood Count – This involves counting of platelets and red blood cells if they both are lower than usual it is a sign of TTP. Procedure number one involves plasma exchange which is the removal of antibodies from the blood that causes damage to the ADAMTS13 enzyme. The enzymes are replaced with fresh frozen plasma. Apart from plasma exchange, another procedure involves removal of plasma by cell separator and anew plasma is added to it. Other treatment method includes the removal of the spleen. The reason behind the removal of this organ is that it produces antibodies that block ADAMTS13 enzyme activity. When one is diagnosed with Thrombotic Thrombocytopenic Purpura (TTP) and does receive treatment soonest possible 95% will eventually succumb to it. If she or he receives treatment research has shown that 80- 90 percent will achieve remission of these nearly 30 percent will relapse. 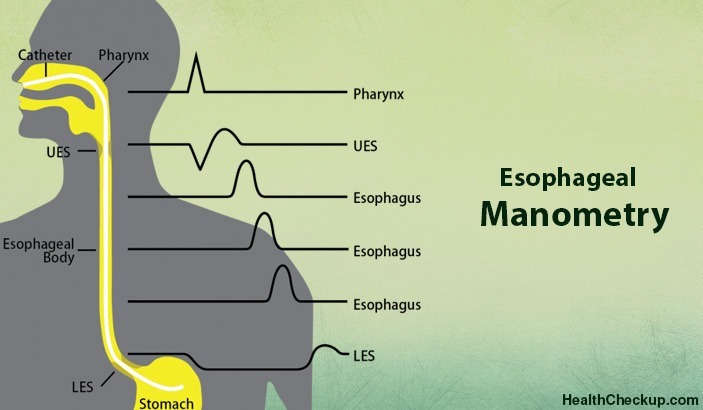 Early diagnosis of this disease can help to avert the risk of injury or even death. Having Thrombotic Thrombocytopenic Purpura (TTP) can be scary since it can turn fatal leading to loss of life. It is best recommended to avoid all possible causes of it. For example, avoiding environs with bees since bee stings venoms is one of the causes of this disease. Other things which should be avoided as much as possible are those nutritional health drink that contains quinine. When Is A Fever Too High For A Child? What To Do For Severe Back Pain?